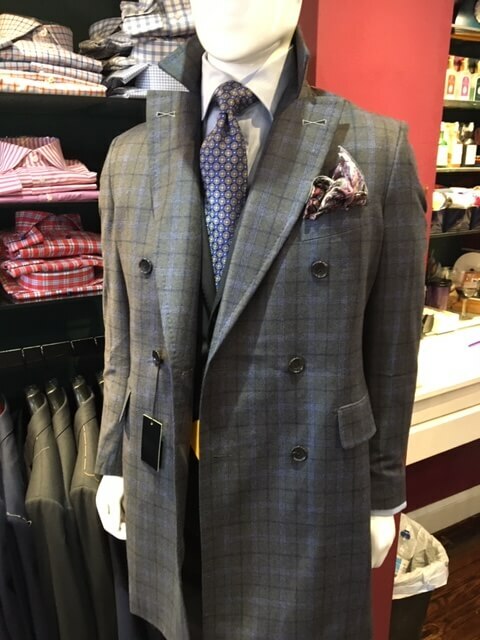 A one of a kind coat designed exclusively by Everard’s Clothing. Gray with blue plaid double breasted, peak lapel overcoat. Wear with a suit or over year hip jeans. 100% wool.